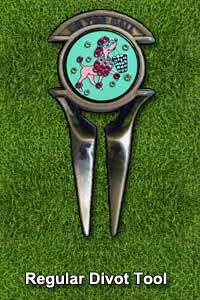 Do you love the nastalgia of the 50's? 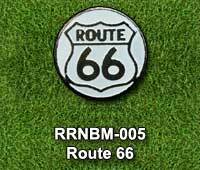 Going to the diner to listen to your favourite tunes on the jukebox, poodle skirts, driving Route 66 and the 50's music in general. 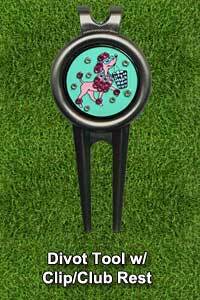 Every golfer should have a divot repair tool in their golf bag so why not take a bit of the rock and roll nostalgia to the golf green with one of our Rock & Roll nostalgia themed divot repair tools? 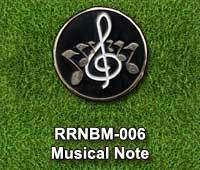 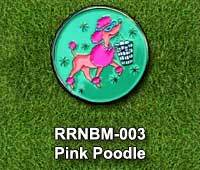 Included in this collection are the pink poodle, old jukebox, Route 66 and musical note ball markers with your choice of 2 divot repair tools. 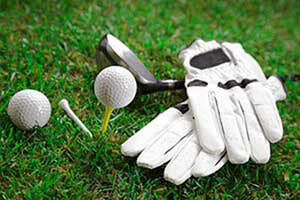 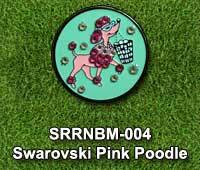 The pink poodle ball marker is available complete with Swarovski Crystals for the lady golfer.